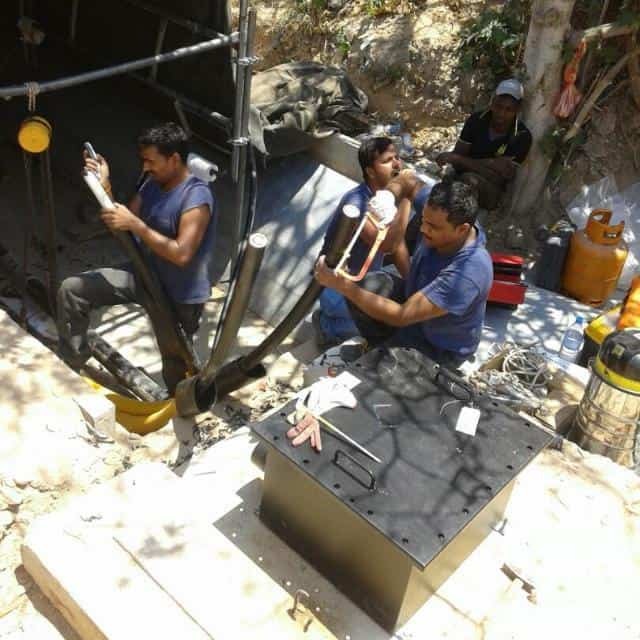 Preparation of MV-HV cables is critical to the electrical performance and reliability of medium/high voltage power cable circuits – failure to correctly strip, remove or cut cable construction layers using the appropriate Cable Jointing Tools can build-in future failure to the installed medium/high voltage cable joint, termination or connectors. The following LinkedIn Comments provide expert guidance and advice on how to remove fabric layers from MV-HV cables without jeopardising or compromising cable functionality. Manufacturer – CME Mexico (CME Wire and Cable, Inc. was established in the USA in 1994 as a subsidiary of Viakable to serve customers in the US and Canada). David Lundin (Contractor Compliance Specialist at Western Power) – remove the cable fabric layer by gloved hand and clean away residual material with carbon tetra chloride or equivalent cable cleaners. Erik Liljedahl (Site Intallation Manager on NKT HV High Voltage Cables) – carefully remove the band with a knife, be careful not to damage the cable conductor strands, then brush the conductor with a wire brush. This fabric is to prevent the inner semi-conductor to fall between the conductor strands during cable production and allows the XLPE insulation to move during heat treatment – this fabric is usually a present layer on 100kV-600kV cables but also 11kV-33kV. Peter Hembry (Director at Hembry High Voltage Services) – unravel to the primary insulation and pull it against the blade of a sharp knife all the way around, then give it a quick lick of heat to catch any strands you may have missed. Ben Lanz (Director, Applications Engineering at IMCORP) – unless this is an unusual cable design, the inner semi-conductor (conductor shield) layer should come off cleanly. Any residue can be typically wiped off with a lint free cloth. After you wire brush the aluminium oxide off the conductor and immediately apply the oxide inhibitor, you will be ready to apply the connector (either compression or mechanical shearbolt). If you are not familiar with MV and HV cable in general, I recommend jointer/splicer training. Mark Jones (Renewables Marketing Manager at Synergy Cables USA Ltd) – box cutter with a new blade works well. Cut slowly while keeping tension by rolling it under itself. David Tompsett (Project Engineer at Northern Ireland Electricity) – seen this conductor screen removed by using twine instead of a knife. Good clean edge and no risk of damage to the outer conductor strands of the MV-HV cable. Glyn Moore TMIET (Electrical Tech / Construction Manager) – as previous comments to remove the fabric either under or over wrapped once you are square with your insulation pull the fabric onto a sharp blade away from conductor, bit of a flame from a heat shrink torch to remove loose fibres. Darren Street (Cable Jointer at D+R Jointing Services Ltd) – sharp knife and a trained cable jointers touch (also blow it over with a gas torch to catch any wayward strands). Ciaran McDowell (HV / LV Authorised Cable Jointer) – used it on high voltage tails in medium/high voltage transformers a few years ago. Use a sharp knife like a Stanley and pull the fabric under tension against the blade. This worked well just leaving a few threads to trim off. Eoin MacQuaile (Junior Quantity Surveyor at Obelisk) – use a piece of twine and wrap it around the cable material and use a saw-like motion to heat and cut the fabric without scoring the aluminium. This method evenly cuts insulation and wrapping without damaging conductors. Kevin Kruse (Vice President, Engineering and Technical Support) – I have completed many cable termination demonstrations and we were always made fun of because we used string, but this is safest method. Second is some of the tools like Speed Systems or Ripley Jointing Tools where you can set a safe depth just shy of the conductor diameter. Cable jointers should never use a knife or box cutter. Tim Poirier (HV Systems Manager- North America TE Connectivity) – best method is to tear it and then using a cable splicing knife at the cut back tearing it against the blade being careful not to nick the aluminium if any strands of the fabric remain burn off with a heat shrink torch. Justin Kelly (Underground Network and Cable Splicer at JEA) – knife work, the cornerstone of legitimate medium voltage cable splicing and jointing. This is why splicing has historically been taught in 4-5 year apprenticeships, not 6 week classes. Skill takes time. Stephen Davies (Technical Policy Engineer – Western Power Distribution) – this should be pulled against a static knife edge by the cable jointer so as to not damage the aluminium conductor. It is a semiconductor woven tape that prevents the semicon extruded layer bedding between the aluminium strands. ➡ String is simple but effective for clean cutting without damaging underlying cable conductors. T&D are UK Main Stockist for Alroc Tools suitable for all types of LV MV HV cable preparation prior to installing cable joints, terminations and separable connectors. 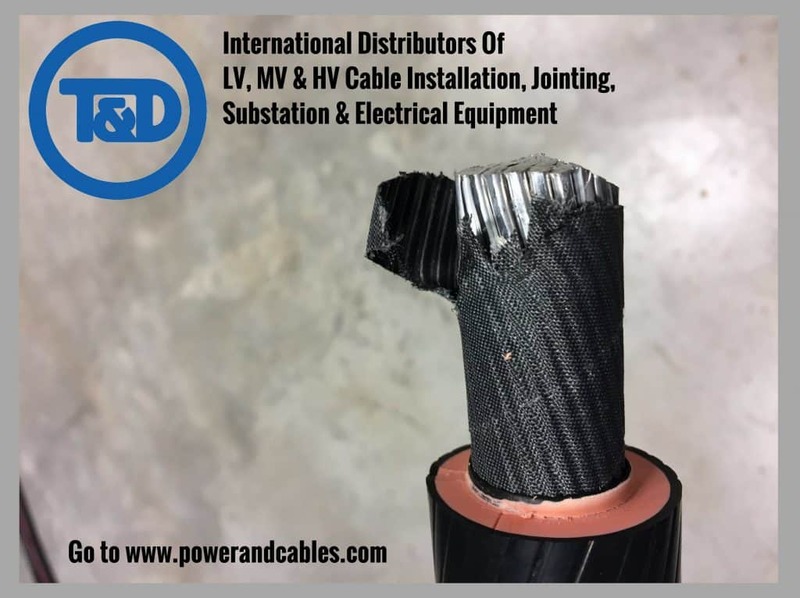 THORNE & DERRICK are national distributors of LV, MV & HV Cable Installation, Jointing, Duct Sealing, Substation & Electrical Equipment – we service UK and global businesses involved in cable installations, cable jointing, copper earth tapes and substation earthing at LV, 11kV, 33kV and EHV. Thorne & Derrick invite you to join LinkedIn’s largest LV-HV Electrical Discussion Group : Low & High Voltage Power, Cabling, Jointing & Electricals. Discussion subjects include cable installations, earthing, cable jointing, substation, overhead line and electrical construction at LV, 11kV, 33kV and EHV. Network, engage and promote your profile, company or products with over 10,000 influencers.